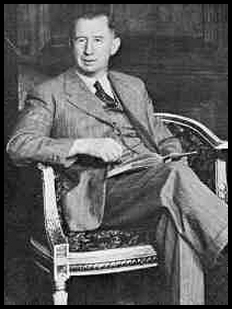 For all of Nevil Shute's strengths as a novelist, few of his works are entirely free of the weaknesses to which he is prey, especially a tendency toward corny dialogue and cardboard characters. These are more apparent than usual in Beyond the Black Stump. Yet somehow he had the remarkable ability to write narratives so compelling that their faults are always transcended, and this, too, is true of Stump. Its story is, as always, simple: Stanton Laird, a young American geologist with tragedy in his youth, comes to the Western Australian outback to search for oil. There he meets an untraditionally extended Aussie farm family and falls in love with their Mollie Regan, who comes to return his affection at the expense of a local suitor. Shute uses this romance to explore the cultural differences between Americans and Australians; his cleverest tactic is to compare two families who, at least on the surface, seem to have a good deal in common. The Regans are a self-made success story, as are the Lairds, who hail from the small town of Hazel, Oregon. The Lairds consider themselves to be barely a step removed from their settler roots, and proudly portray Oregon to those they meet as pioneer country. The Regans, of course, are pioneers, farming more than a million acres of arid waste in a region of Australia known as the Lunatic. On the surface, all should be easy for Mollie and Stanton. Yet they discover that their worlds have less in common than they first supposed. For all the Lairds' talk of pioneering, their daily life is one of convertibles, high school football games and supermarket shopping. What's more, their rigid sense of propriety - divorce, illegitimate children and miscegenation are unthinkable - is violated in every way by the Regans, a ragtag clan of whites and aborigines whose patriarch, Pat, is "married" only in the loosest sense to his brother's wife. The harsh realities of their lives "beyond the black stump" (a twist on "the back of beyond") require that expediency take precedence over what some would insist upon as moral behavior. Shute is sure to make the point that the Lairds themselves are only a generation removed from similar circumstances, a fact they have very quickly managed to forget. Ultimately, these two worlds collide, forcing Stanton and Mollie to make difficult decisions. It's not very much on which to hang a tale, yet as always with Shute the plot is only part of the narrative experience. As Stump unfolds Shute provides his typically fascinating look at the routines of life in exotic environments, given heft by a detailed explication of the techniques behind desert farming and oil exploration and lightened by an amusing cast of sheep station drunkards. For good measure, he tosses in a bit of Irish revolutionary history and - gasp - encounters with marijuana! Perhaps the greatest success of the novel comes late in its story, when Mollie learns of Stanton's secret: how, as a wild teenager, he and best friend Chuck Sheraton's pot-and-beer-fueled partying resulted in a high-speed car crash and the death of Chuck's girlfriend. Her reaction to this story limns the sharp distinction between American and European/Australian attitudes towards responsibility and guilt, one that is too rarely explored in fiction, let alone in open debate. Despite so much of interest, as mentioned earlier Shute's typical flaws are on greater display than ever here. The dialogue, especially, is so aw-shucks down-homey it makes Ozzie and Harriet seem racy; the most notable oddity is the way each a character seems to begin every sentence with the word "sure." And Stump's cast is even more than usual filled with straight-talking, gee-whiz, do-the-right-thing regular Joes and Janes who could only exist in the opium dreams of a 1950s television network chief. But so what? Shute is never less than compulsively readable, and here, as always, there's enough moral intrigue to make Stump more than just a brainless good time.